The holiday season is upon us. In the world of nonprofits, it’s known as the giving season because so many donors wait until the end of the year to make donations for their favorite charities. At Good360, we think the end of the year is an excellent opportunity to give more consideration to giving thoughtfully, especially at the corporate level. As companies consider their 2019 planning and budgets, we invite them to set aside some time to rethink their giving strategy. Corporate philanthropy is increasingly becoming more sophisticated and strategic. Instead of leaning back and simply writing checks, more companies are taking a proactive approach to giving. 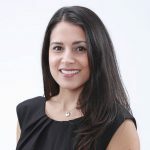 They’re looking to better align their business strategy with their philanthropic endeavors, as well as seeking innovative ways to leverage their resources to make a bigger, more lasting impact. It’s easy to give cash. 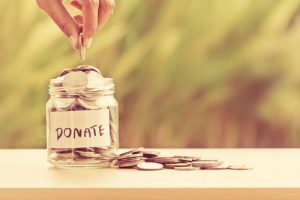 In many cases, cash donations are absolutely the most useful gift for nonprofit organizations. But companies can tap into other invaluable resources that might not immediately come to mind. Human resources is one of these areas. Does your company have access to people with specialized skills or expertise that can be of service to a nonprofit in your community or during a disaster? For example, the UPS Foundation has been able to “lend out” some of its logistics experts to assist Good360 with getting supplies into some tricky disaster zones this year, such as storm-ravaged Puerto Rico and the U.S. Virgin Islands. 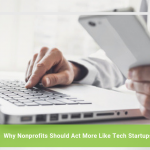 Your company might have a technologist who can help a nonprofit operate more effectively, a communications specialist who can write press releases, or a graphic designer who can create marketing brochures or websites. Another area for companies to reconsider is product donations. 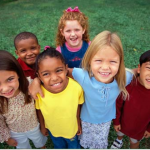 Of course, we are huge believers in the benefits of product philanthropy, for both corporate and nonprofit partners. While many companies will donate their excess inventory as a matter of course, consider taking a more proactive approach when it comes to donating product. 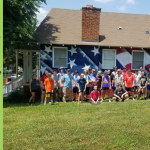 Earlier this year, Wrangler provided an outstanding example of innovative giving when it partnered with Good360 and Cotton Incorporated’s Blue Jeans Go Green program to upcycle post-consumer jeans into sustainable home insulation. With the help of volunteers from All Hands and Hearts – Smart Response, the insulation went into homes in the Houston area that were being rebuilt after Hurricane Harvey. The partnership aligned perfectly with Wrangler’s long-standing commitment to improve the sustainability of its apparel supply chain. It also allowed the company to participate in a much needed disaster recovery effort. When a major disaster hits the front pages or cable news, the natural tendency is to react quickly. For some companies, this means setting in motion a plan to send aid — without fully understanding the actual needs of the affected community. This has the potential to waste resources or even slow down recovery efforts. 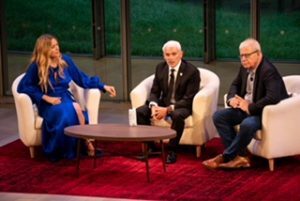 Earlier this year, we partnered with All Hands and Hearts — Smart Response and Global Citizen to launch a new initiative called Resilient Response to encourage corporate donors to take a longer view of disaster giving. Our six-point pledge gives companies guidelines toward building more resilient communities able to withstand future disasters. This means giving them the necessary tools to prepare for every phase of a disaster, not just during the first few weeks or months when media coverage is at its heaviest. In our experience, the most impactful giving initiatives happen when companies reach out and create meaningful partnerships across different sectors. This “big tent” approach tends to create a network effect, allowing each party to contribute to and amplify the overall impact. It starts by taking the time to identify like-minded partners that would be a good fit for your philanthropic cause and then going out of your way to show how combining forces would be valuable to each side. The idea is to create an enduring relationship that results in ever greater impact. For example, our longstanding partnership with Tempur Sealy International is an excellent example of how we have established collaborations for the greater good. Over the past seven years, we’ve joined forces with the world’s largest bedding maker to maximize its social impact through a donation program that has reached hundreds of nonprofit organizations and delivered more than 40,000 mattresses to families in need. The company also supported Good360’s long-term disaster recovery work over the past year by sending 28 truckloads of mattresses in support of hurricane recovery in Texas, Florida, and Puerto Rico, and for wild fire recovery in California. 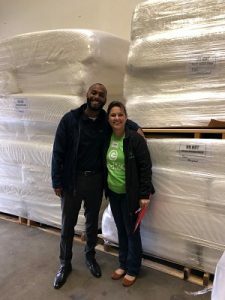 This mutually beneficial relationship provides Tempur Sealy with a viable outlet for the responsible distribution of excess inventory, while nonprofits working with Good360 receive new mattresses that are often beyond their means to purchase at retail. You don’t need to go at it alone. 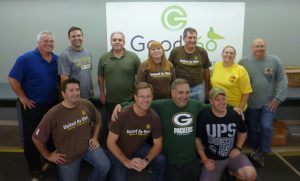 Our team at Good360 is ready to help you develop a product donation strategy that aligns with your mission and business. 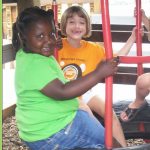 We can also help you get connected with the right nonprofit organizations. 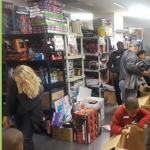 Please click the link to https://good360.org/donate-goods/ with partnership inquiries.